JS Paradise DR APJ Abdul Kalam Nagar is a residential project developed by JS Paradise Homes at Tiruvallur in Chennai. Tiruvallur is an upcoming town in the city of Chennai, that has proximity to a number of institutions, business establishments and hospitals. Situated on State Highway 50 that connects to Punnapakkam Road. Another roadway option is Thiruvur Keelanur Road making commuting much easier. Kadambattur Railway Station and Putlur Railway Station are nearest one that connects to Tiruvallur. The property is surrounded by a number of Industries like Caterpillar, Delphi TVS, Hyundai, Samsung etc. The locality has some good educational institutes including Shree Niketan Matriculation School, Indira Institute of Engineering and Technology, Bhajarang Engineering College and others. For inhabitants Thanneer Lake and Putlur Lake are two best options to walk around and refresh. Presence of several reputed hospitals in and around the locality help in upgrading the quality of life of the residents in Tiruvallur. This locality is also attracting many Real Estate Developers to build some commercial and residential projects. 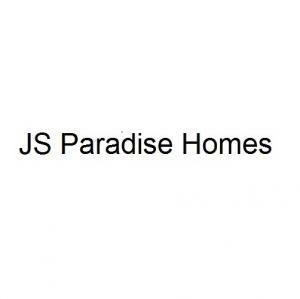 JS Paradise Homes, operates at Chennai as our head quarters. This enables them to give the best solution regarding land investment and satisfy them having selected right choice. By serving the customer excellently, the concern has earned goodwill and got felicitated!! Their concern enables all kind of people to reach their goal, to achieve the financial development, is buying lands from Chennai surroundings duly legally approved by the government authorities and sell them to the common people at affordable prices, thus serving through sales. JS Paradise Homes enable the customers to obtain from us the relevant documents for an appropriate possession of property.